Please enter any additional links in the comments. Chris of Vaults of Nagoh mentions a Tales of the Rambling Bumblers post, but I can't find it at the moment. Some stuff from semi-FF-eponymous blog. How about: "The Weird Fiend Folio." 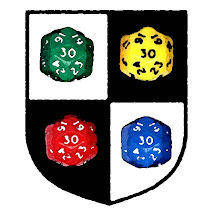 I put together some lists of Fiend Folio Sources & Uses (OD&D Discussion Forum posts). 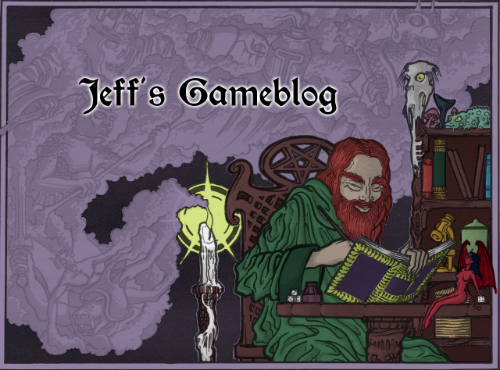 Lists of the original sources (mostly Fiend Factory articles, some TSR modules), author stats (Ian Livingstone for the win), and uses (World of Greyhawk encounter tables, etc). Adventures in Making Lines on Paper (tumblr) is posting a series of color illustrations of a large selection of monsters from the Monster Manual and Fiend Folio, in alphabetical order. The most recent (3/1) is of the Death Knight. 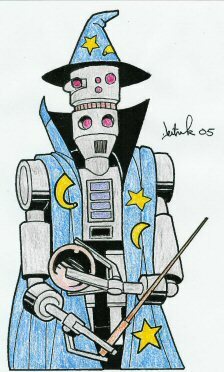 I was going to post my monster-illustrating project, but Zenopus Archives has kindly beat to to my own self promotion. So thank you for that, and yeah, I'm drawing some Fiend Folio beasts. 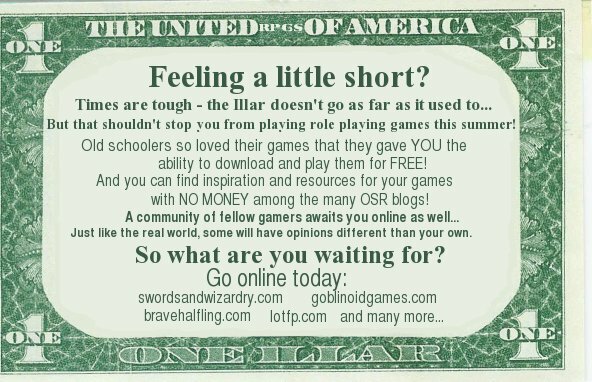 Also, Theodric's alliteration could've gone further by being the International Fellowship of Fearless Fiend Folio Friends. 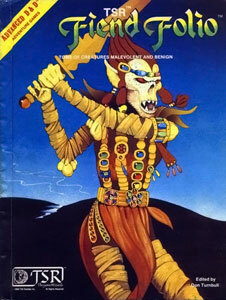 Fiend Folio is when TSR jumped the shark. I never looked at their products the same way after that.